With First World War casualties mounting, there was an appeal for volunteers to train as front-line medical staff. Many women heeded the call: some responding to a vocational or religious calling, others following a sweetheart to the front, and some carried away on the jingoistic patriotism that gripped the nation in 1914. Despite their training, these young women were ill-prepared for the anguished cries of the wounded and the stench of gangrene and trench foot awaiting them at the Somme. Isolated from friends and family, most discovered an inner strength, forging new and close relationships with each other and establishing a camaraderie that was to last through the war and beyond. 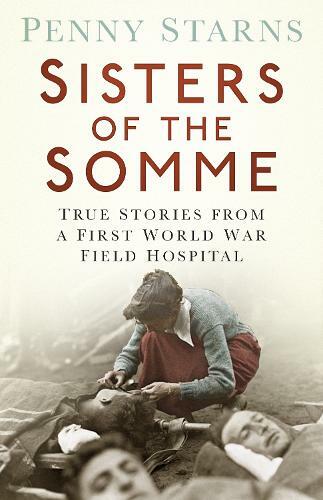 Based on the previously unpublished true stories of its nurses and medical staff, this book is a heart-warming account of the joys and sorrows of life in an extraordinary Somme field hospital.